I’ve had this album since it came out a few years back. But hesitated to really listen to it because something about a Tinariwen record with lots of American and European ‘guest stars’ did not appeal. 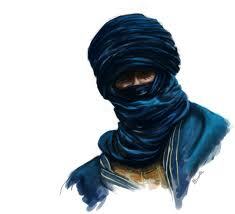 So I ignored it, preferring the older and earlier efforts by the Tuareg collective. Well, what a mistake. I can listen to nothing but this record these days. This is album Nr. 5 for the group and for my money their acme. 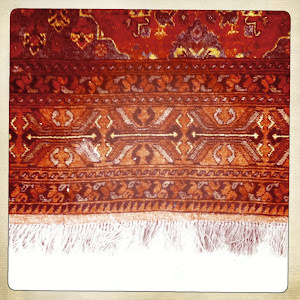 It wallows in laid back rhythms, tightly tweaked guitar riffs and spare, world weary vocalisations. Here you will find the lost chord of a sleepy Mississippi bluesman sipping flat 3.2 beer near the end of a Sunday evening set. Singing almost to and only for himself. Yet the message and spirit is not diminished. In a lot of ways it is all the more arresting because of its simplicity. And as for those American guests, well like well behaved visitors, they speak only when spoken too. They actually add some nice color to the desert sound, especially the contributors from the Dirty Dozen Brass Band. In southeastern Algeria, there is a vast plateau set aside as a national park called Tassili N'Ajjer. It's close to the border with Libya, and years ago, in the 1980s and early 90s, it was a place of relatively safe passage for Kel Tamashek fighters moving between the refugee camps in Libya and the battlefront in northern Mali. To look at it in satellite images, you might think you were looking at he surface of some distant moon, long ago scarred by geologic activity but now barren and strangely beautiful. It wasn't always this way. Thousands of ancient cave and rock paintings dating from 8,000 to around 1,700 years ago depict a place of plenty that slowly dried to become the modern desert. There are lost religions and civilizations out there. The Tassili N'Ajjer covers some 45,000 square miles. Near the southern rim of the plateau is a town called Djanet, and it's out in the rocky desert near this town that Tinariwen chose to record its fifth album. The group would have preferred to record near its homebase, Tessalit, in northern Mali, but the security situation was too precarious. The re-flaring of a conflict the group hoped was put to bed clouds some of the album they made-- the first couplet on the album, sung in weary Tamashek by Ibrahim Ag Alhabib, translates to, "What have you got to say, my friends, about this painful time we're living through?" It's not only about the new conflict, though. From there, the song calls out to people who have given up the nomadic life of the desert, lamenting that they've left but seeming to understand why they have. These complex emotions run through the album, and the predominant feeling that comes out of them is longing, for home, for peace, for old friends, for a way of life whose place in the modern world is uncertain. 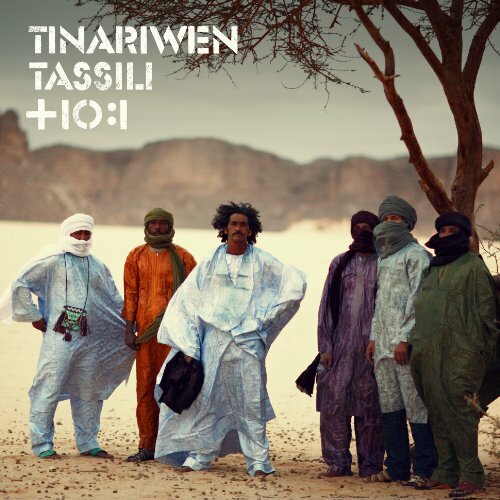 Tinariwen have mostly put aside their electric guitars for this album and returned to the acoustics they first played together, backing the rhythmic playing with small hand drums and clapping. They've invited in a few friends as well. Nels Cline contributes a beautiful wash of ambient guitar to opener "Imidiwan ma Tennam", two members of the Dirty Dozen Brass Band add rough, sonorous texture to "Ya Messinagh", and TV on the Radio's Kyp Malone and Tunde Adebimpe, who traveled out to the desert recording site, are on hand on five songs, adding subtle backing harmonies and even a bit of lead vocal on one song. With Mali making the evening news of late (for all the wrong reasons) it is a good time to remember that those ancient people are among the most amazing music makers on the planet. I hope you enjoy this the Washerman Dog's 501st post! Groove and mellow down here.